When it comes to early animation, The Bray Studios are the most influential and innovative production company that you've never heard of. 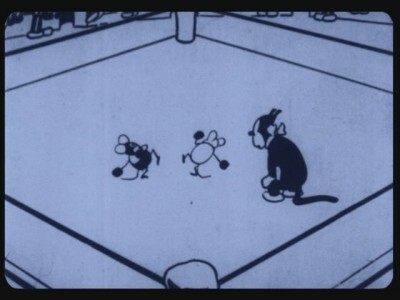 Not only did the studio create ways of streamlining the animation process that cut costs drastically, but it also was the home, if only temporarily, to such animation luminaries as Max Fleischer (Betty Boop, Popeye, and Superman (1940s)), Paul Terry (Mighty Mouse, Heckle & Jeckle), and Walter Lantz (Woody Woodpecker). Cartoons on Film has now released a magnificent collection of this studio's output on Blu-ray and DVD. Entitled Cartoon Roots: The Bray Studios this set of films is a wonderful introduction to the studio and their films. 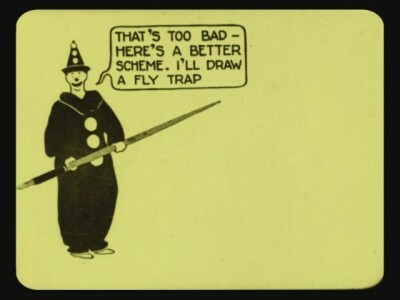 J.R. Bray was a cartoonist who started drawing one-panel gags and strips for magazines and newspapers in New York in the early 1900's. He had a hit with his strip Little Johnny and His Teddy Bears, and the income from that allowed him to pursue his other passion: animation. 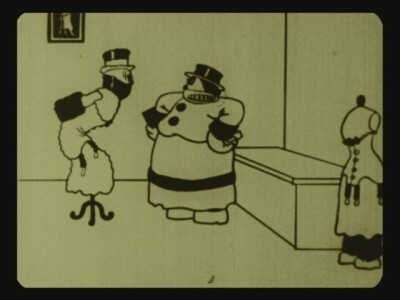 Winsor McCay created a sensation with his animated film Gertie the Dinosaur (1914) but his process was very time consuming and labor intensive: he drew each an entire image for each frame of film by hand. 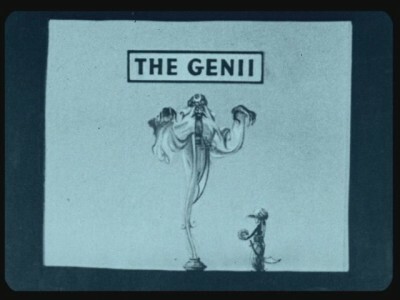 Gertie took him 10,000 drawings and nearly a year to create, even with the help of an assistant. 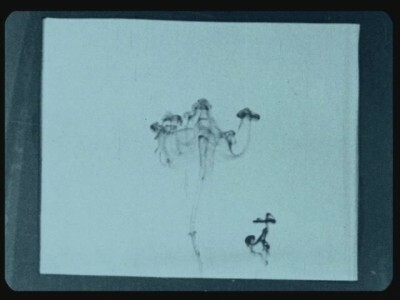 McCay would use rice paper for his drawings, which made it easy to trace the backgrounds so that they would match up. Even so, they jiggled a bit since the tracing wasn't perfect and the lines would be off very slightly. This is where Bray (who is reported to have visited McCay at his studio where the master cartoonist showed the younger Bray how he created his famous film) was able to streamline the process. Instead of tracing the backgrounds, he duplicated them onto the paper with a zinc etching process. This not only removed the jittery lines, but saved an enormous amount of time. Bray was issued a patent for this innovation. With his time-saving technique he created his first cartoon, The Artist's Dream. A mixture of live action and animation, it tells the simple story of an artist whose drawing comes to life while he's out of the room. 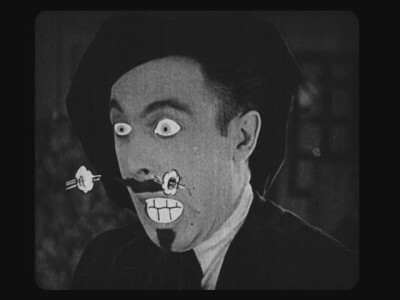 Bray took the completed film to Pathe, and they not only bought it, but contracted Bray for six more cartoons. With contract in hand, Bray hired a group of artists to create the films which he decided would be a series of shorts following the misadventures of a newly created character (a first for animated films), Colonel Heeza Liar. (The second Liar film is included in this collection.) 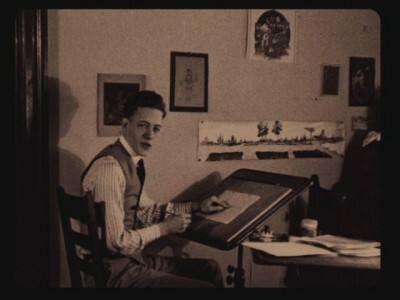 While Bray worked on the business side of things, he also had a great eye for talent and hired an impressive lineup of animators including Max Fleischer, Paul Terry, and Walter Lantz. Unfortunately, animation lost its appeal in the 1920's and the Bray Studios focused more on the more profitable industrial and educational films. The studio survived much longer than most of its contemporaries though, churning out product in one form or another until it eventually closed in 1983. As for the content in this collection, it is great. A nice overview of the studio's output, there are some wonderfully bizarre shorts as well as some standard gag pieces. There is a very early Out of the Inkwell - Koko the Clown cartoon created by Max and Dave Fleischer. 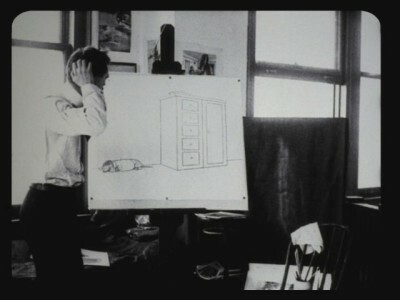 This mixture of live-action and rotoscoped animation (where an actor, in this case Dave, is filmed acting out the scenes and then the cartoon character is animated using the live-action as a template. This leads to very realistic and fluid movement) has the famous clown being pestered by a fly. Another live-action/animation mashup is The Lunch Hound featuring Walter Lantz. In this slightly surreal adventure, Lantz discovers that his house lady has quit, which means that he and the animation project he's working on, a Pete the Pup cartoon, have to find their own dinner. While Pete explores his animated world, Walter goes into the strange world of his kitchen. Here bacon crawls out of the pan (so he uses clothespins to secure it) and eggs fight over who is to be the first to be fried. Like the other Lantz live-action/animated short The Pied Piper, this film is so much fun because of Lantz' over-the-top acting. They are both a riot. Another film of note that's included in this collection is 1915's Diplodocus. It shouldn't surprise me that this film exists, after all, many popular shorts were refilmed by other companies in the early days of cinema, but this is basically a rip-off of Gertie the Dinosaur. 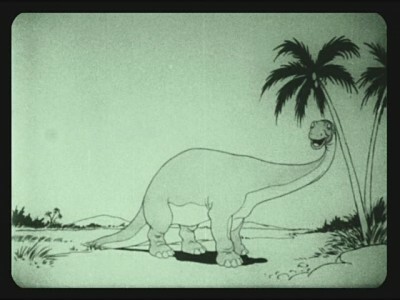 Without intertitles, this was obviously intended to be shown with a narrator on stage instructing the dinosaur on what to do, like Gertie was originally presented. It's smoother than the original, and interesting in its own right, but still a direct copy of the more famous work. 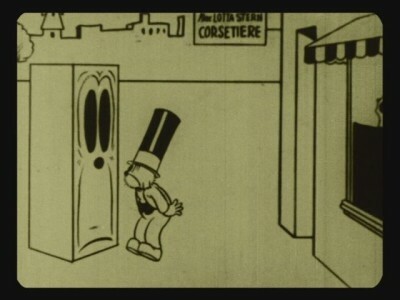 There's a lot of discover in this collection: A wacky comedy about two men who want to buy a corset for one of their wives, but are embarrassed to be seen going into the store so they dress in drag; a semi-comic look at how cartoons are created from 1919; an experimental movie that films liquids mixing and creates art out of the images; and a Krazy Kat cartoon where Ingatz the mouse bets against himself in a boxing match since he's intending to take a fall, but Krazy is determined to make him win. It's an entertaining collection that is long overdue. This combo pack includes 15 cartoons on both DVD and Blu-ray. There's an informative 12-page booklet with notes on each film enclosed. The image quality is generally excellent. While it should be remembered that most of these films are over 100 years old, they are all clear and easy on the eyes. The lines are tight as a rule and the contrast is very good overall. While a couple are a little on the light side and there is a bit of nitrate deterioration on one of two, these look much better than I was expecting they would. All of these films have musical accompaniment by the likes of Robert Israel and Charlie Judkins. There were a couple of shorts where prerecorded music from the time period was used along with sound effects, instead of newly composed scores. While to purist in me was prepared to hate those tracks, I have to admit that I really enjoyed them. The sound effects really added a lot to the viewing experience and I enjoyed the old music too. This collection is just filled with extras. There's really a lot of great stuff here. There is a short from the 1950's where J. R. Bray is awarded a citation by the US Army for the role he played in training troops during WWI (he invented the training film!). There are a few audio conversations with J.R. Bray recorded in 1973 that are used as commentary tracks, and some comments by his grandson too. There are the reminiscences of a man who worked at the studio in the 50's, along with a featurette discussing how the Bray Studio transferred many of the old films they made to 16mm for the home market. There are also a couple of galleries filled with vintage publicity and reviews along with unused drawings and production documents. It's all great stuff. This set is an impressive and important overview of an undeservedly forgotten animation studio. Filled with some creative and funny films along with copious extras and informative liner notes, no fan of animation should miss this collection. It's one of the best discs I've seen this year and gets the DVD Talk Collector Series Rating.